Keeps hands cool. Makes a great gift. Environmentally friendly & washable! Set of 3. 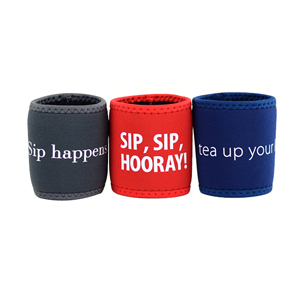 3 sayings included: Sip happens. Sip, Sip, Hooray! tea up your life.